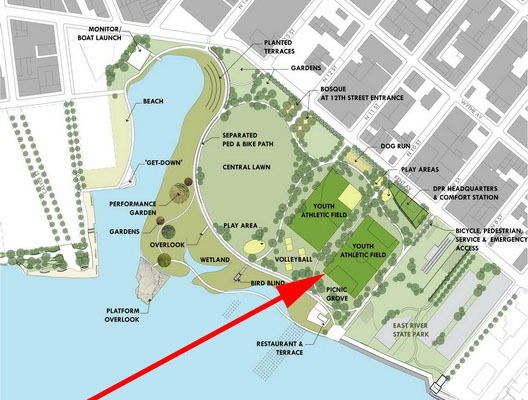 This will be a contemporary park featuring a playground, a multipurpose field, a site for a future seasonal café, a naturalized waterfront edge and a multiuse bicycle path. 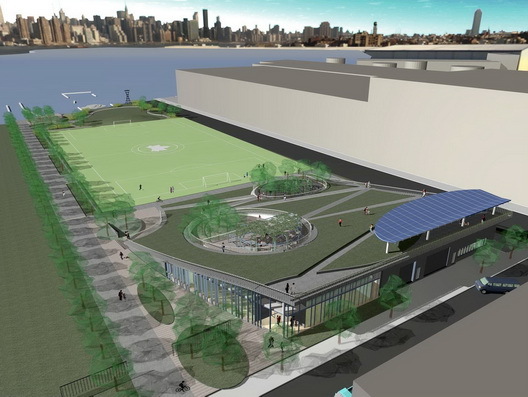 The construction of a combination Community space, District Headquarters and Comfort station will service the needs of the newly created Bushwick Inlet Park. This facility will house Parks Department offices and maintenance trucks, in addition to public restrooms and community spaces and multi-purpose rooms. The full site plan is below.